The resident nine-year-old won Archit Taneja's The Case of the Candy Bandit in a giveaway on the Duckbill Gangstas page a few years ago. I had first reading rights (of course!) and for a couple of nights, had dreams as bizarre as Rachita's. I could see the kid would love the nerdy-meets-madcap fun-ness of the book. This is his review. 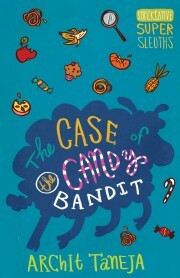 The Case of the Candy Bandit is the perfect title for a detective-mystery. The cover, with pictures of sweets, grabs your attention. The drawings within the book are even more interesting and funny. If the idea of a gulab jamun pancake is simply outrageous, so is the drawing of a gulab jamun pancake maker. This book is about Aarti and Rachita, two budding detectives in sixth grade. They are the Superlative Supersleuths. The PTA has decided that treat packets be given to the students on the condition they eat their lunch. The treat packets start going missing. It’s upto the Superlative Sleuths to sniff out the thief. Do they succeed or get completely spooked out? Aarti, a rather creative and cheerful person, suggests a Pirate Case Book. Rachita on the other hand, is a serious and straightforward person. She is enthusiastic about detective work. The Detective Decree they make is brilliant and way too funny. I’d use the 3 Ws to describe it - Wow, Wacky and Wonderful. Rachita’s birthday presents are rare and totally unbelievable. Wonder where they were bought really!!! Vipul’s theory on the Observer Effect is perfect. If an experiment is conducted on someone, they should be unaware of it, otherwise they will behave differently. I like Vipul because he is a smartypants just like me. 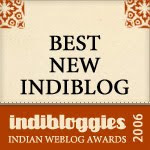 This story is like Aarti - hyperactive without the hyper. There’s a lot of action, things keep happening like a relay of events. One thing’s a bit disappointing. In every detective story, this happens - There’s one suspect. Then the suspect changes and the thief is caught. That could have changed. As a nine-year-old, I can certify that 8-11 year-olds love their candy. The level of maths used in the book is quite high, there’s even some calculus. Rachita is so scientific in her approach to the case that there’s science even in her dreams. Rachita’s dreams about Archimedes teaching the pirates to balance and finding the centre of gravity are witty and certainly well thought out. If Rachita’s dreams are burgers or fries, then there’s science as the sauce to go with them. Yumm, I love burgers. Talking of food, that purple-tongued seventh-grader is rather lucky to have a packet of jamuns. Oops, my appetite is gone because of those tongues. You’ll have to read the book to understand what I mean! This is a wonderfully spicy book. Super entertaining for little spies like me and just a FANTASTIC BOOK!!! Psst ... The next in the Superlative Supersleuths series, The Case of the Careless Aliens is just out.